WOW! 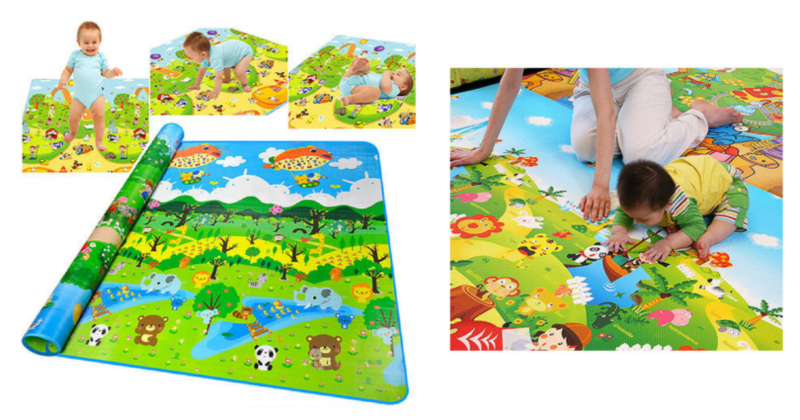 Sears has this Baby Crawling Pad/Game Mat on sale for $42.99 (reg. $169)! To make this deal even better, Sears is offering Shop Your Way Members $40.43 back in points and FREE shipping! After points, it ends up costing just $2.56! I love that this Baby Mat can be used from birth through preschool, AND is waterproof!! Remember, you can use your points on another purchase once they credit your account (usually a couple of days). This would make a GREAT baby shower gift! In fact, I wish this would have been around when my girls were little. Grab 32-Ounce Cartons of College Inn Broth for $0.75 (reg. $2.50)!